If you thought projecting the 2017 lineup was tough, you haven’t seen anything yet. While you’ll recognize a lot of the names listed here, the pitching projections are a lot more unstable than the position player projections. Without further adieu, here is who you should expect to see Opening Day 2017. If Clayton Kershaw isn’t the Dodgers’ No. 1 starter in three years, it’s highly likely he’s been abducted by aliens. Clayton Kershaw: Will be in his age-29 season and rolling around in his millions of dollars he’ll have already earned. Even with the opt-out clause in his 7-year deal (after the fifth year), Kershaw will still be owed $33 million for the 2018 season, with a $65 million due the next two seasons — which will be his age-31 and 32 seasons. Odds are he’ll opt out, and the Dodgers will sign him to a new mega deal. This is a situation similar to Kershaw’s, as Greinke is clearly the second-best starting pitcher the Dodgers have now (and probably will have) in 2017. Zack Greinke: Will be 33 and will likely have been re-signed to a new contract (opt-out after 2015). Hyun-Jin Ryu: Will be in the fifth year of a 6-year deal and entering his age-30 season. Julio Urias: Almost preposterous to include him, seeing as he’ll be 20 years old and could conceivably be in his second full season. Greinke is probably going to opt out of his deal in 2015. He’s such a good pitcher, has such good mechanics and is one of the smartest pitchers in the last 15 years that the Dodgers couldn’t possibly pass on bringing him back. He figures to age well as he doesn’t rely on elite velocity to be successful. Here’s where things get a little murky — in a good way. There are two or three guys who could realistically lay claim to this spot in the rotation. Chad Billingsley: Will be entering age-32 season and could be on a different team by this point. Zach Lee: If he reaches his potential, this could be his spot — even in his age-25 season. 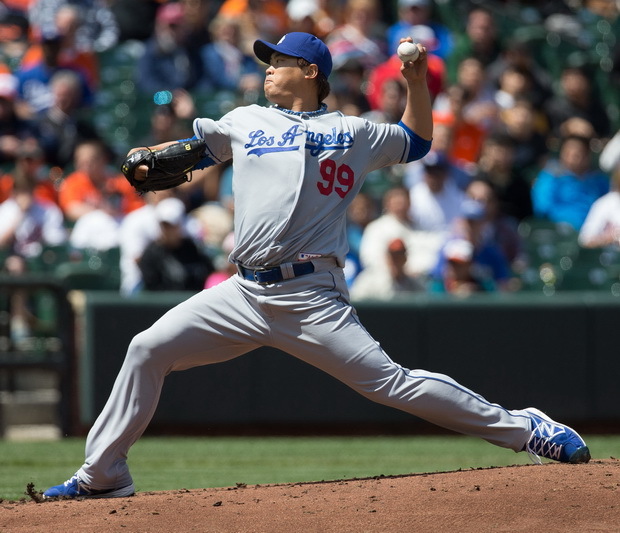 Hyun-jin Ryu: Only figures to get better; certainly doesn’t figure to get any worse. Julio Urias: The most potential of anyone on this list. Ryu figures to have some really solid campaigns behind him by this point. He’s the best pitcher of the four listed above and could be one of the game’s best left-handers by 2017. This spot almost seems reserved for a certain 20-year-old, as he has some of the most pure talent in the Dodgers’ farm system. Chris Anderson: The 2013 first-rounder will be 24 and probably one of the best prospects in the system, if he’s still eligible. Chad Billingsley: Probably on a different team by now. Zach Lee: More likely the No. 5 starter — or a No. 3 or 4 on another team. Ross Stripling: Will be 27, unlikely after Tommy John surgery, but still has a starter’s repertoire/build. Julio Urias: This is his spot. This will be just the beginning for Urias. He’ll be 20 years old and on his way up. He’ll eventually be the Dodgers’ No. 2 starter — at least, as long as Kershaw is still around. This spot will likely be filled from within the system — and could even be a player who isn’t yet a member of a Dodger (i.e. a draftee). Chris Anderson: While it’d be nice to see him make it as a starter, he could be dominant reliever. Chad Billingsley: Love ya, Chad, but I’m sure you’ll be in Cincinnati by this time. Zach Lee: Hoping that $5.25 million bonus pays off by this time. Ross Stripling: Might be a reliever or with another organization. Lee could end up being a Kyle Lohse-type, which would be a fantastic No. 5 starter in this game (at a fraction of the cost). His stuff could be average at this point and he’d still be a great No. 5 starer. At one time, everyone thought Eric Gagne would never break down and he’d go down as one of the greatest closers ever. He had the best 3-year stretch of any reliever, but he eventually broke down. Kenley Jansen is great, but there’s a chance he could — eventually — break down. Not because of anything he has or hasn’t done, but because of the position itself. Chris Anderson: Has the arsenal to do the job, but makeup/poise are unknown. Onelki Garcia: Has a potentially devastating 2-pitch combo that gives him a closer’s ceiling. Kenley Jansen: Will be 29 years old and be making crazy money. Chris Withrow: Has the best stuff of this quartet, but control/command are question marks. Provided Jansen’s cutter is still as filthy as it is now, I don’t see him breaking down physically (as long as his heart is OK) and I see his control/command holding up just fine. But it’s nice to see the Dodgers have some legitimate options if things change dramatically in three years. The most volatile of any player on the baseball field, don’t expect to see a lot of veteran presents here, as the Dodgers should fill voids in the bullpen from within. Chris Anderson: Heavy fastball and slider combination should play up out of the ‘pen. Jose Dominguez: Elite fastball velocity should be sustainable as he enters his age-26 season. Onelki Garcia: Will be in age-26 season and could find himself traded by this time. Yimi Garcia: Will be entering age-26 season, and despite fastball spin, lack of plus-velocity could hold him back. 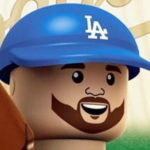 J.P. Howell: Will be 34 and a free agent, likely not brought back. Matt Magill: Will be 27 and needs to keep command/control in check to have a long-term career. Chris Reed: Only on here because of his prospect ranking, I have no faith in him — even out of the ‘pen. Paco Rodriguez: Should have established himself as one of the best lefty relievers in the game at age-26. Tom Windle: Will be 25 and a cheaper option than a guy like Rodriguez. Chris Withrow: Should start getting expensive at age-28, could be a trade candidate. Aside from Howell and, to a lesser extent, Rodriguez, these are all power arms and all should do quite well setting up the Dodgers’ 2017 closer. The only problem is, guys like Rodriguez and Withrow figure to start getting expensive — perhaps too expensive for the Dodgers (as funny as that sounds). That’s where the next tier of reliever prospects comes in — Victor Arano, Ralston Cash, Jharel Cotton, Scott Griggs, etc.